On May 19th, President Obama signed into law a new credit card reform.Â That is old news.Â Do you really understand what this means for credit card customers? Let’s try to shed a bit of light on the situation: This is only a quick overview of the bigger issues tackled in the bill, as you can find hundreds of articles covering the topic in great depth almost anywhere. 1) Your card issuers had better hope they raised your interest rates while they had the chance. (I know mine did). Starting in early 2010, card issuers may no longer raise rates on EXISTING BALANCES unless you are more than 60 days late on your account.Â They may however, raise your interest rate on new purchases with a 45 day notice.Â (This provision must be enacted within 90 days of bill signing). 2) You will have more time to pay your bill. Your due date will be the same, but statements will have to be issued at least 21 days before the due date.Â In addition, if your payment is received before 5p.m. on the day the bill is due, it will not be considered late.Â Payments made on non-business days (Sat, Sun, and Holidays) are also “safe” from late charges. 3)If you have multiple rates, the largest will be paid first. 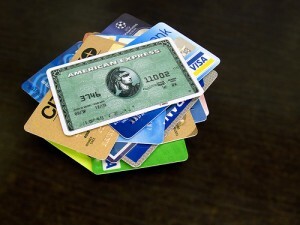 This is (in my opinion) the single best aspect of this law.Â It works especially for those of us who are paying off debt.Â If you have differing interest rates on your card, the highest rate will be paid first.Â For example, if you have a balance of $500 on a cash advance at 24.99% interest and a $1500 balance at 13.99%, the cash advance balance will be paid first.Â No matter when the purchase or advance was made, this policy will be effective. If you are late on a payment with one creditor, a different creditor can not take this into account and change your rates or otherwise adjust your account. Over-Limit fees can no longer be levied without permission from the customer to process the transaction that puts them over the credit limit. People under 18 are no longer permitted to obtain credit without legal emancipation or being designated as a user on a parent’s card. College student age applicants (under 21?) will be limited to a credit limit of 20% of their annual income, or $500, whichever is greater. MSN Money, McClatchy, American Consumer News or Consumer Affairs. Thanks for sharing such great post, what i like is that statements will be issued at least 21 days before the due date.